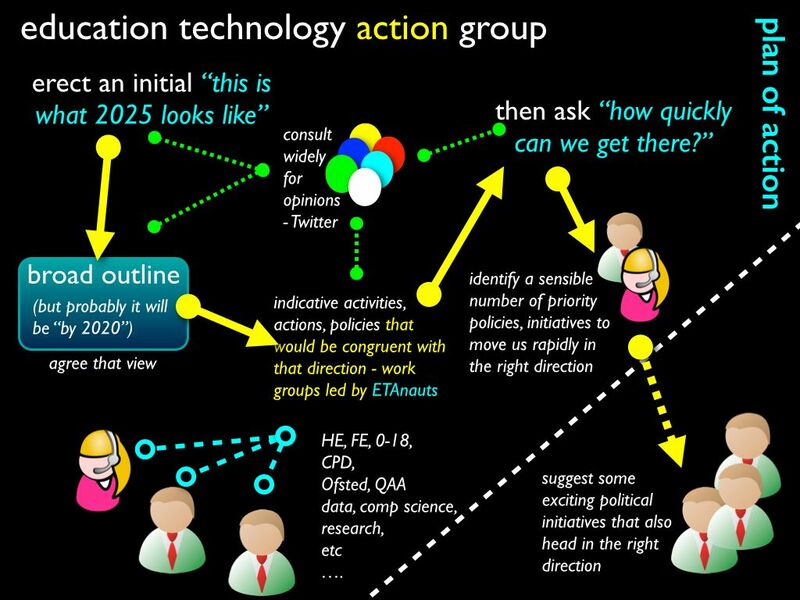 ETAG, the Education Technology Action Group was set up in February 2014 by three English ministers: Michael Gove, Matthew Hancock and David Willetts, chaired by Professor Stephen Heppell, and followed on from good work done by the DfE Further Education Learning Technology Action (FELTAG) Group. ETAG's wide remit covers schools, colleges and universities. Our conclusions and wide ranging recommendations have been both widely and favourably reported. 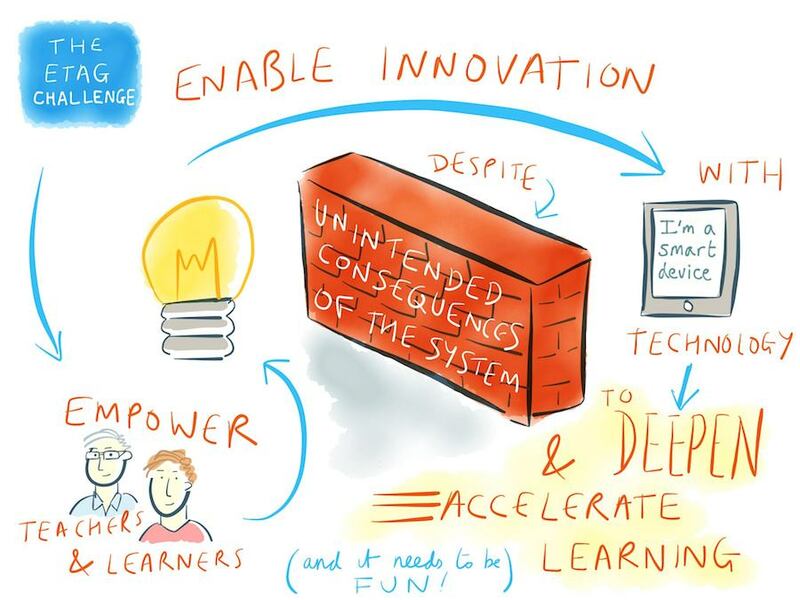 "Fundamentally, we concluded that the use of digital technology in education is not optional. Competence with digital technology to find information, to create, to critique and share knowledge, is an essential contemporary skill set. It belongs at the heart of education. Learners should receive recognition for their level of mastery; teachers and lecturers should too. Some things will need to move over, to be dropped, to change and to vary to allow all this to happen. We are calling for everyone to play their part in enabling this progress". "The Education Technology Action Group ETAG will aim to best support the agile evolution of the FE, HE and schools sectors in anticipation of disruptive technology for the benefit of learners, employers & the UK economy"
...and we were also asked to identify any barriers to the growth of innovative learning technology that have been put in place (inadvertently or otherwise) by the Governments, as well as thinking about ways that these barriers can be broken down. In effect, Ministers want to know what we need to do to help grow the use of technology in learning, to make learning better. The word fun was mentioned too, three times!. We had an action plan, and after a year of work, produced a set of reflections with some very clear recommendations. ETAG's exceptional core membership were chosen to reflect a vast range of experience, and were active across the education and technology sectors including, of course, some oustanding current teachers. You can monitor #etag in Twitter too.